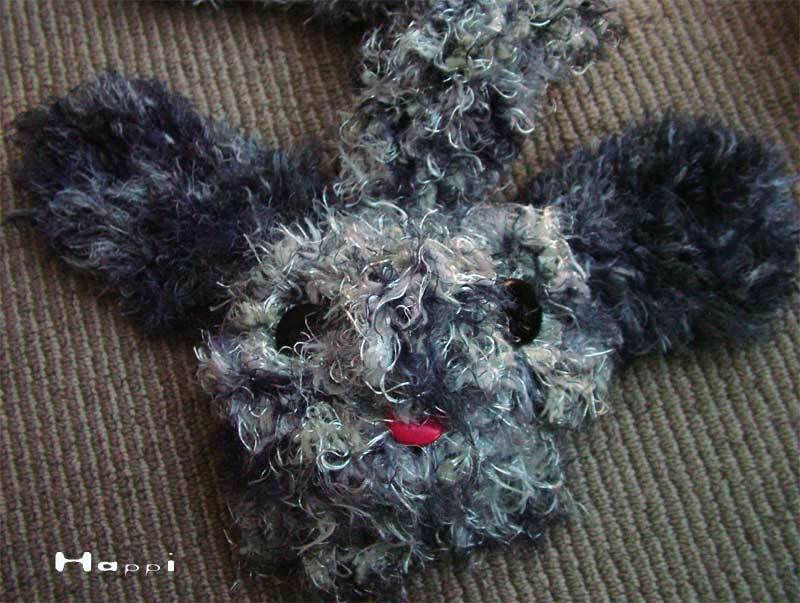 This is a collection of finger knitted handmade crafts I made. 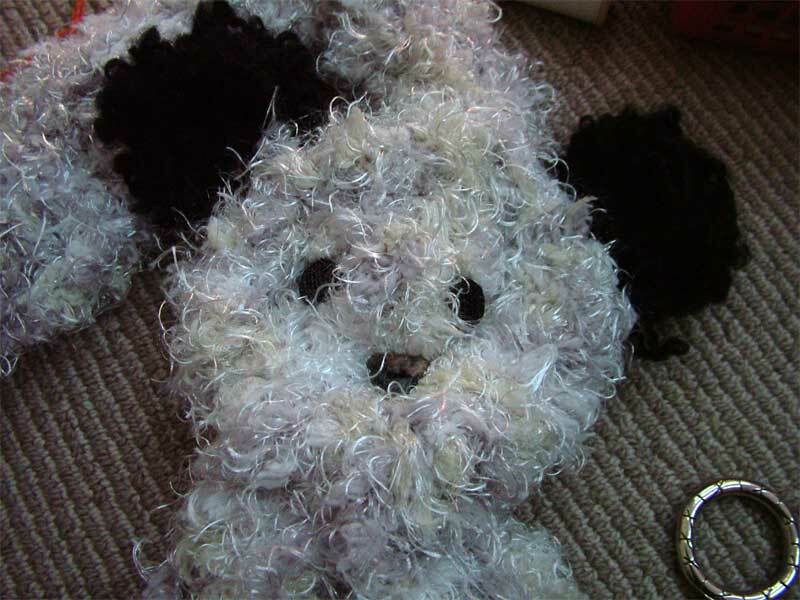 I first came across finger knitting in 2010 and with the help of YouTube and some pictures, these little creatures came to life for me. In making these necklets, not only did I have tons of fun, but it made me re-realize how important the neck area is. It is one of the areas of the body where an immense amount of heat seems to be lost from because if you will just cover it, the amount of warmth that you will retain is significantly noticeable. 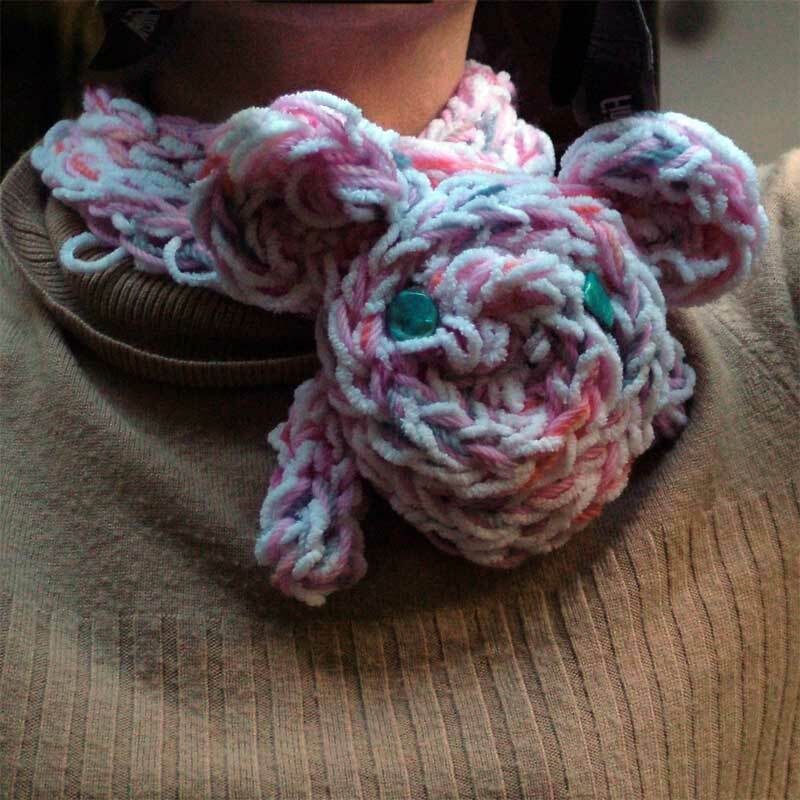 I shall start with a cute collection of Animal Farm finger knitted scarves. They are pretty much free size and suitable for all ages. The older you are, the more daring and child-like you must be to truly indulge!! 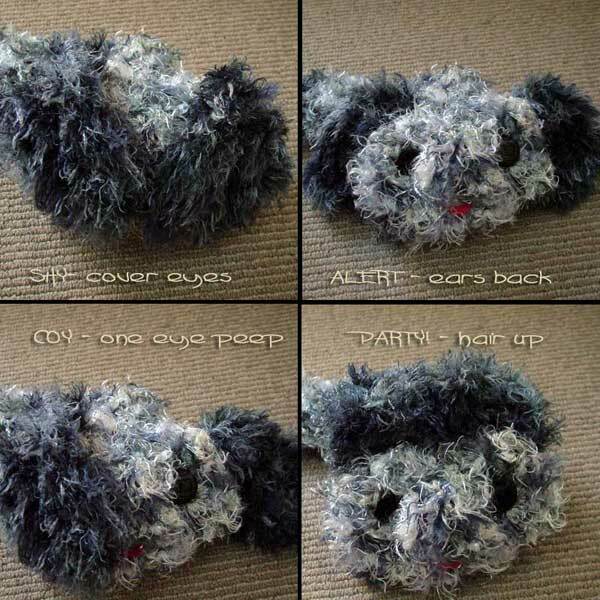 They are very easy to use - just loop the animal head (be it piggy/teddy/doggie/ or other through the provided loop and that's it! 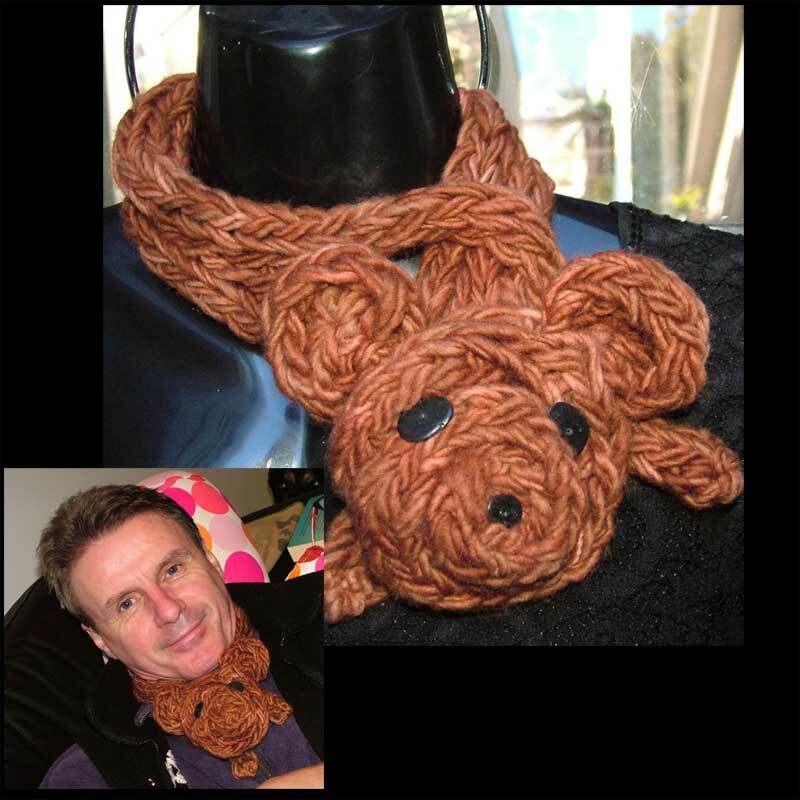 You can use the next pic as an illustrative example of how to wear these Animal Farm necklets. 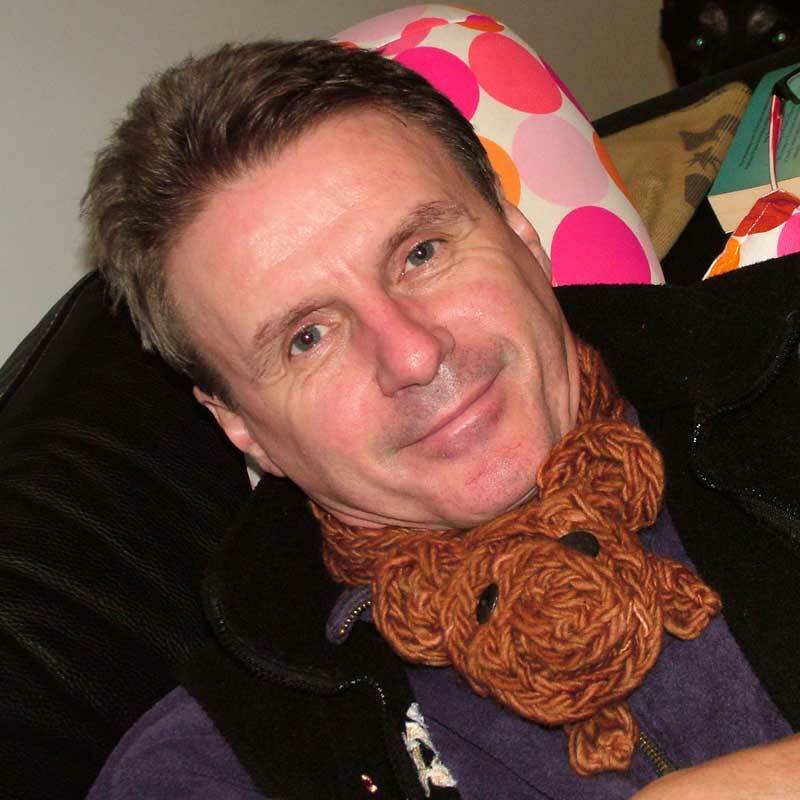 This little cute Mr Teddy is very soft and warm. 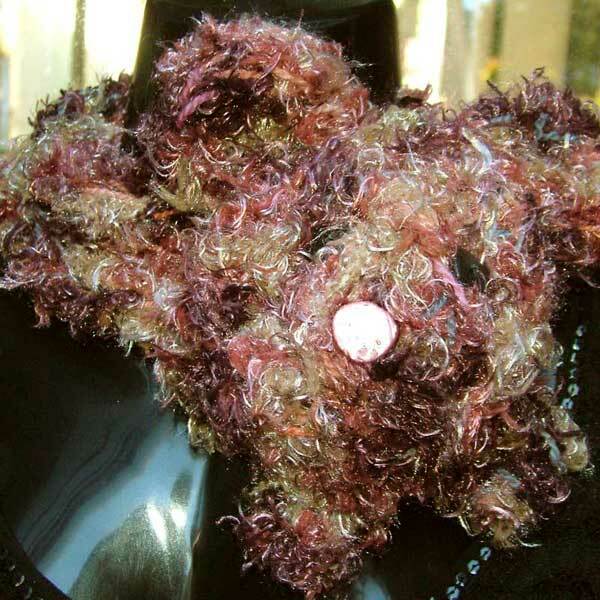 Materials: Malabrigo - Kettle Dyed Pure Merino Wool, from Uruguay (col Roannoke 50). His eyes are black howlite stones. 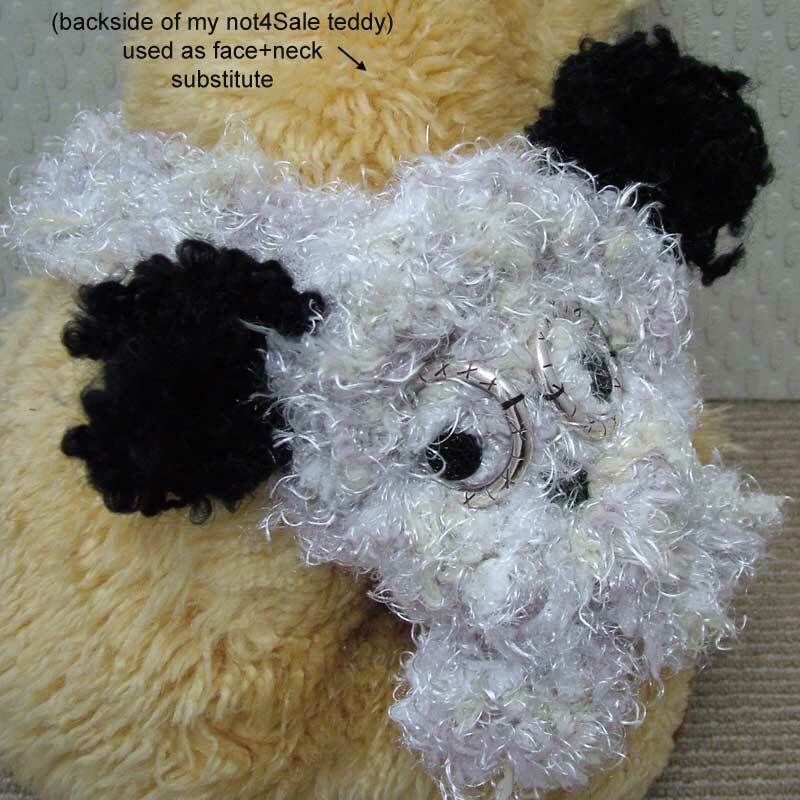 And I made a reluctant Petey to model Mr Teddy necklet for me. Who is cuter: Mr Teddy or sweet Petey? 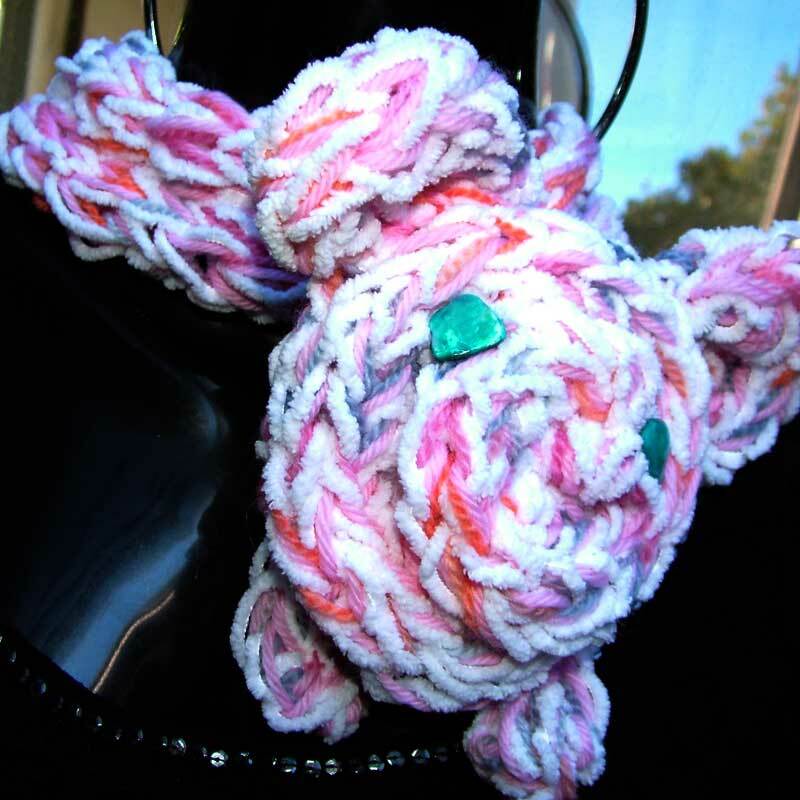 Pinky Piggy here demonstrates a variation on the same basic finger knitted scarf. This too is toasty warm and cozy. 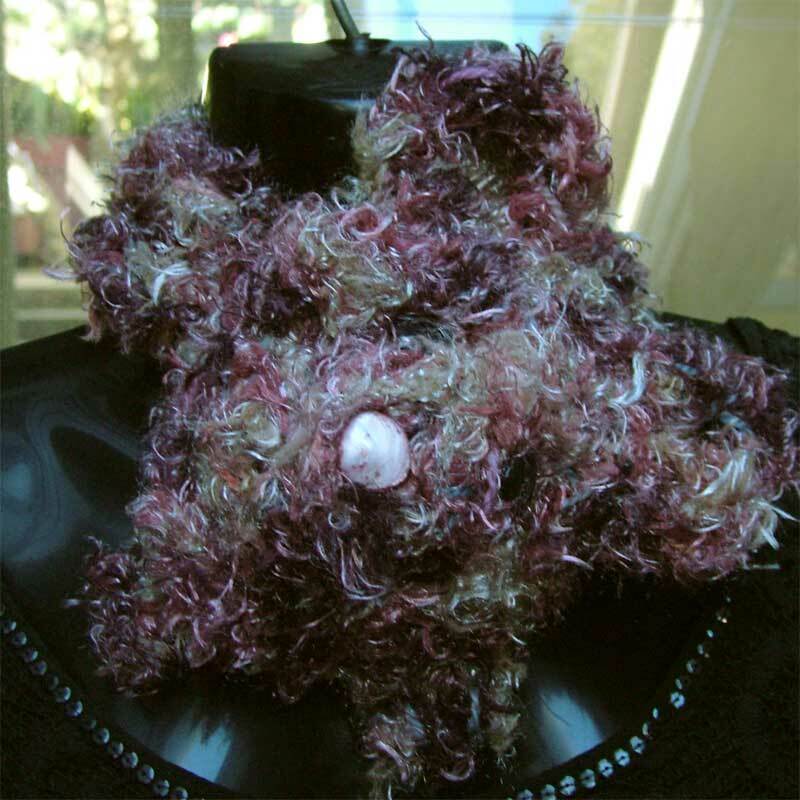 Pinky Piggy's eyes are made from colored sea shells. And yes, this is a blue-eyed baby! 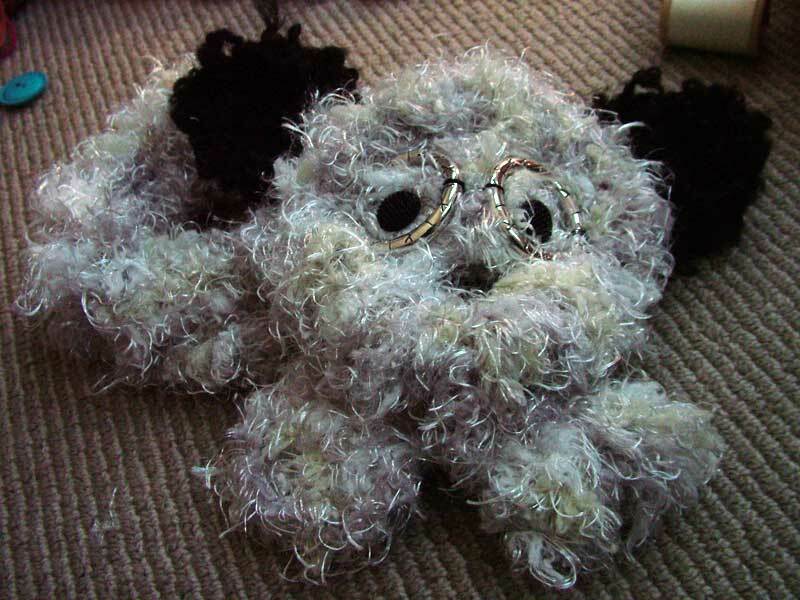 I once had a doggie called Scruffy and this looks exactly like Scruffy - hence the name! 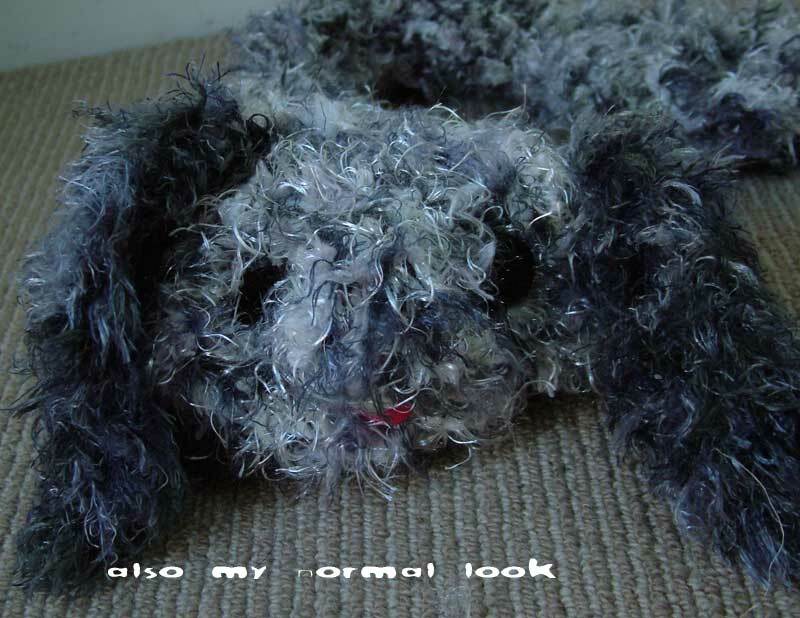 Just like my doggie, this looks like an unbelievable mess, but still totally lovable. Due to his scruffiness, it might take a while to see his lovable features. 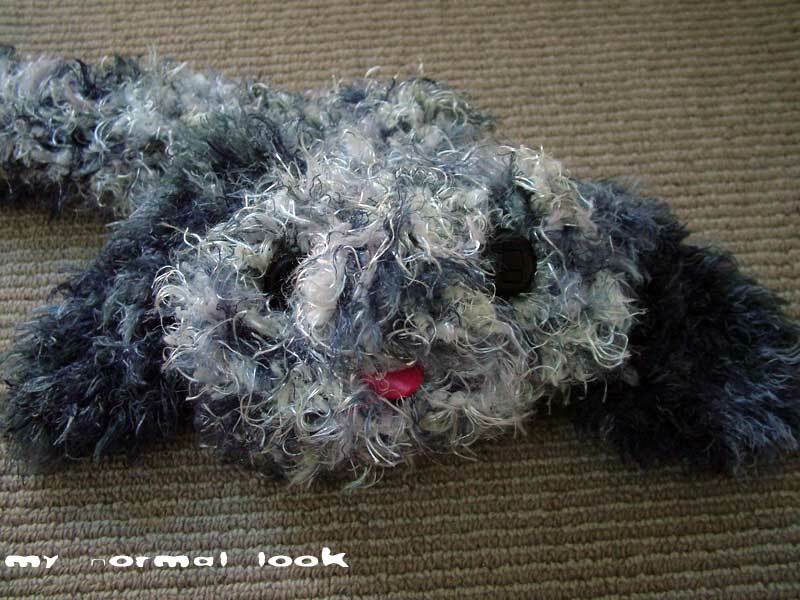 This Scruffy is made from extra soft, fluffy yarn - it is cozy and comfy and feels as if you are getting warm cuddles from your pet! 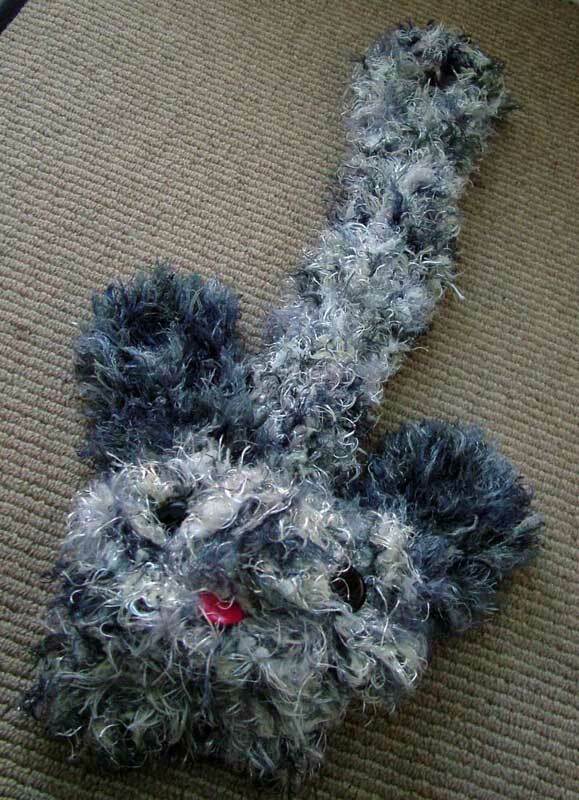 It might help to look at Mr Teddy scarf to help in making out Scruffy's features! This is what 4Eye Cutie Pie looked like at birth. 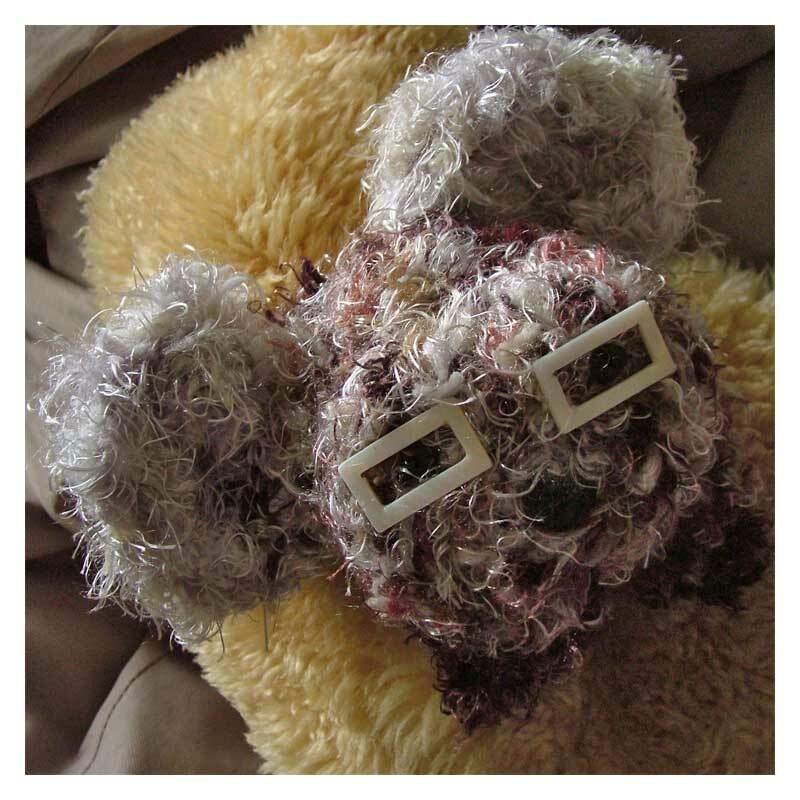 But his wise mommy could see his eyes were squinty and so she crafted some glasses for him. This next pic shows the bespectacled 4Eyes being worn. 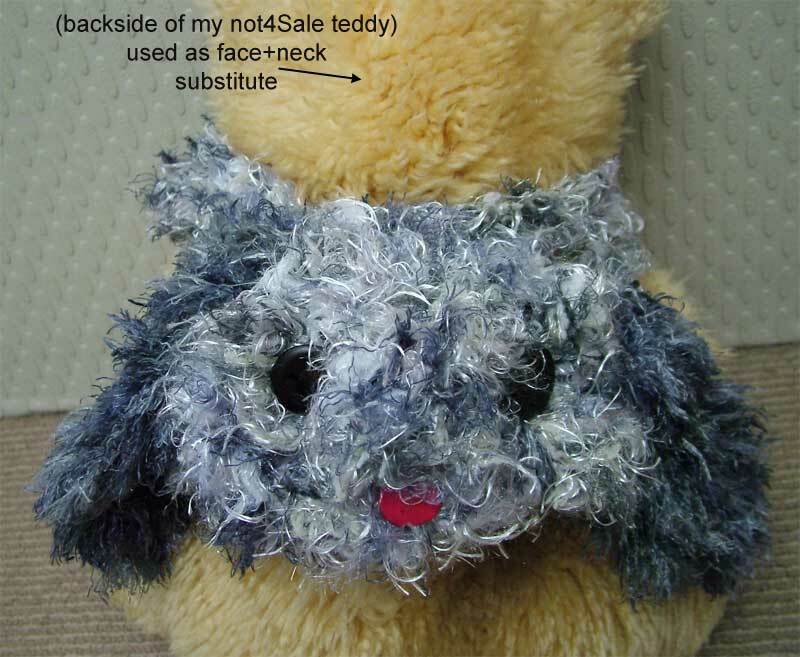 However as there was no ready model around I had to get the back of my old teddy (called Rambo) to offer up his back and neck in lieu of a proper human face and neck. 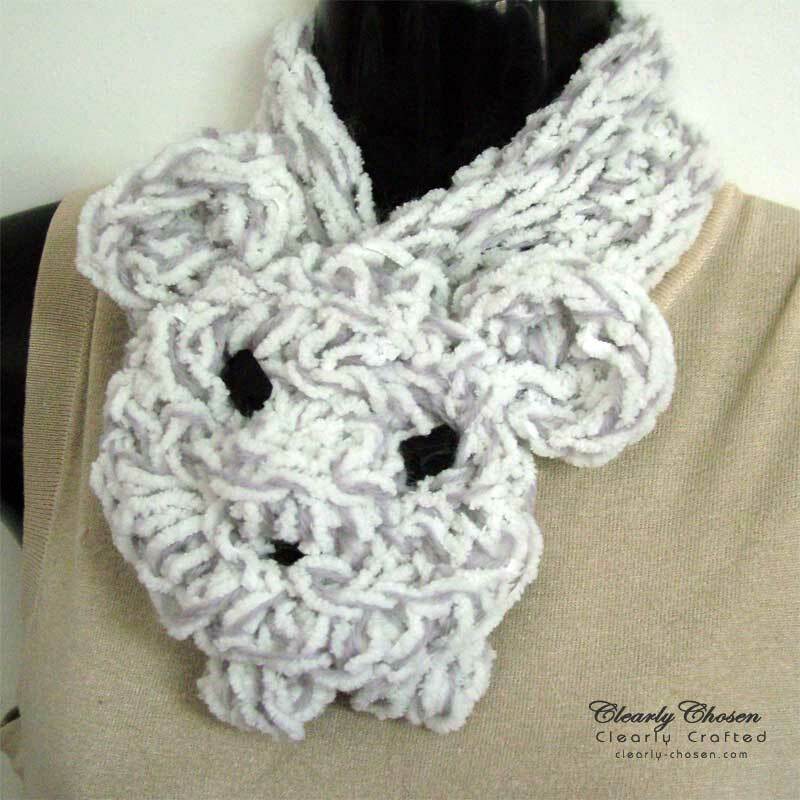 4Eye Cutie Pie is a very soft scarf - made form Craftland Fluff yarn (100% nylon). Happi is the non-identical twin to 4Eyes Cutie Pie - they were born within the hour of each other. I had prenamed him "Droppy" coz his ears were so droppy, but by the time he got his features, he looked so darn happy that I just had to name him Happi. 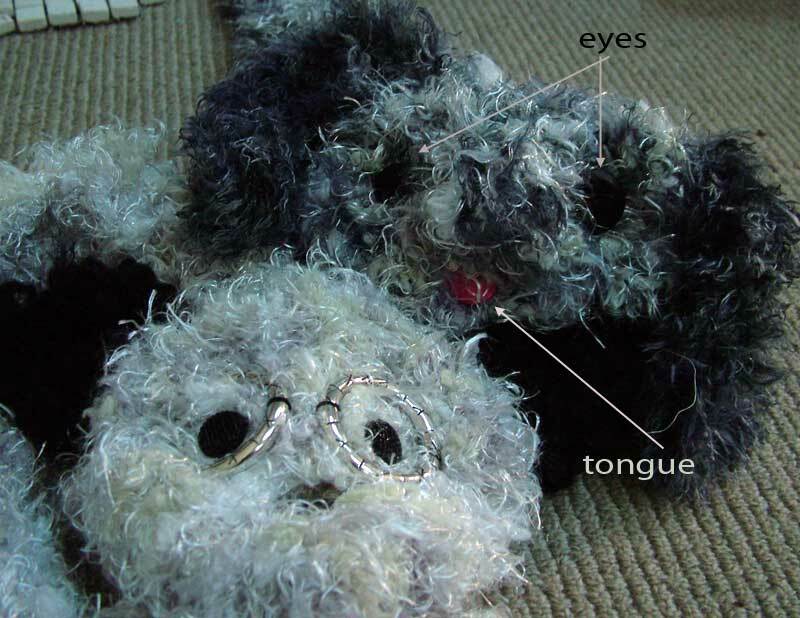 The first pic below shows Happi with his (non-identical) twin 4Eyes Cutie Pie scarf. 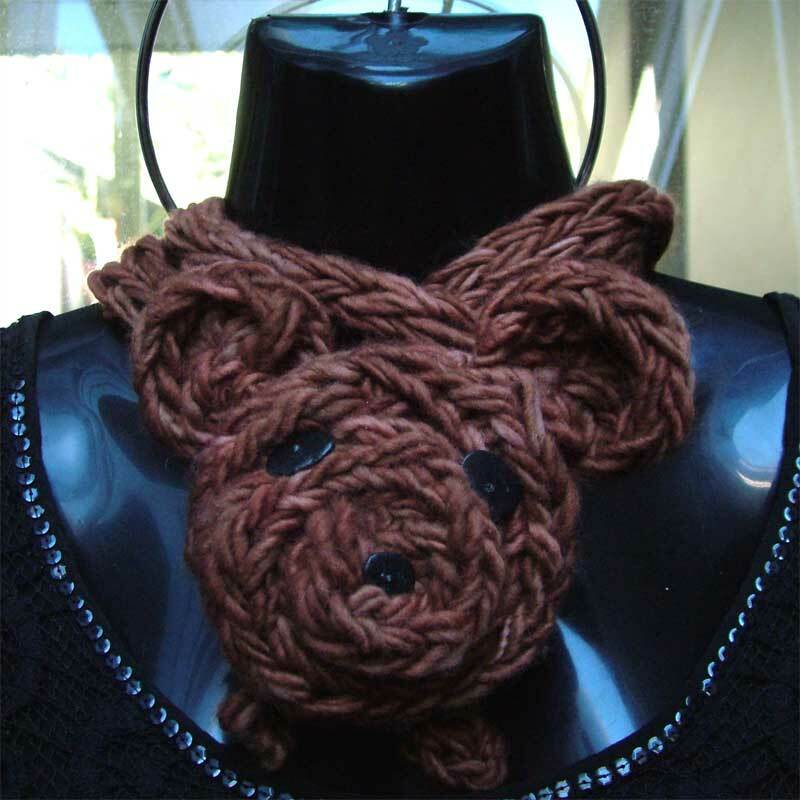 Happi is not just a scarf or necklet. Oh no! He is a very expressive fellow. He can be shy, alert, warm, coy even - so I would recommend keeping a wary eye on him! Almost Oriental if from my 3rd batch of offsprings. 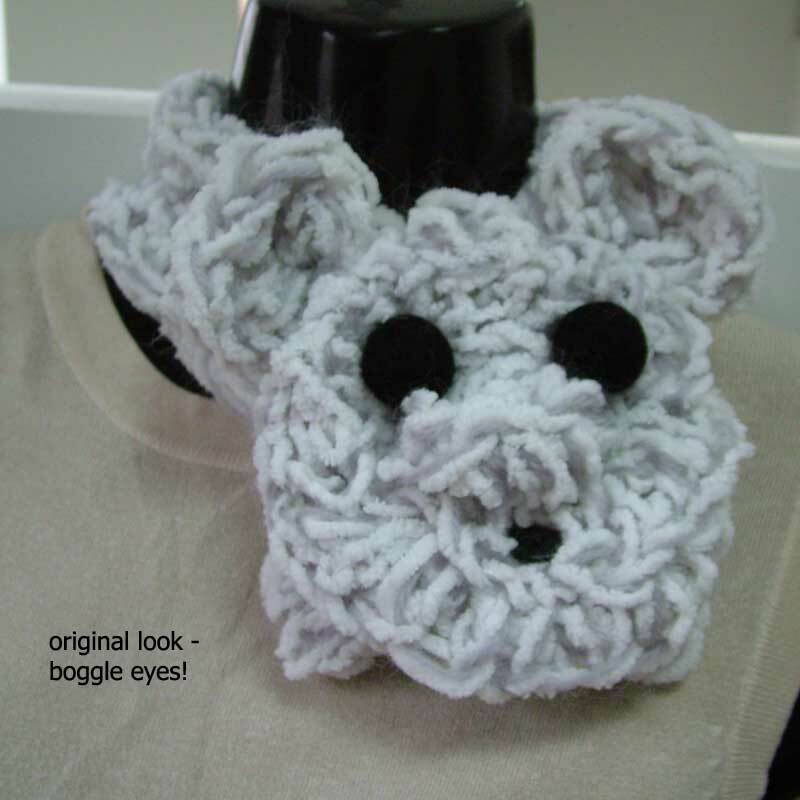 He did start of with large boggle eyes which first charmed me and then got too much for me. So I gave him corrective surgery and he now better reflects my heritage!!! 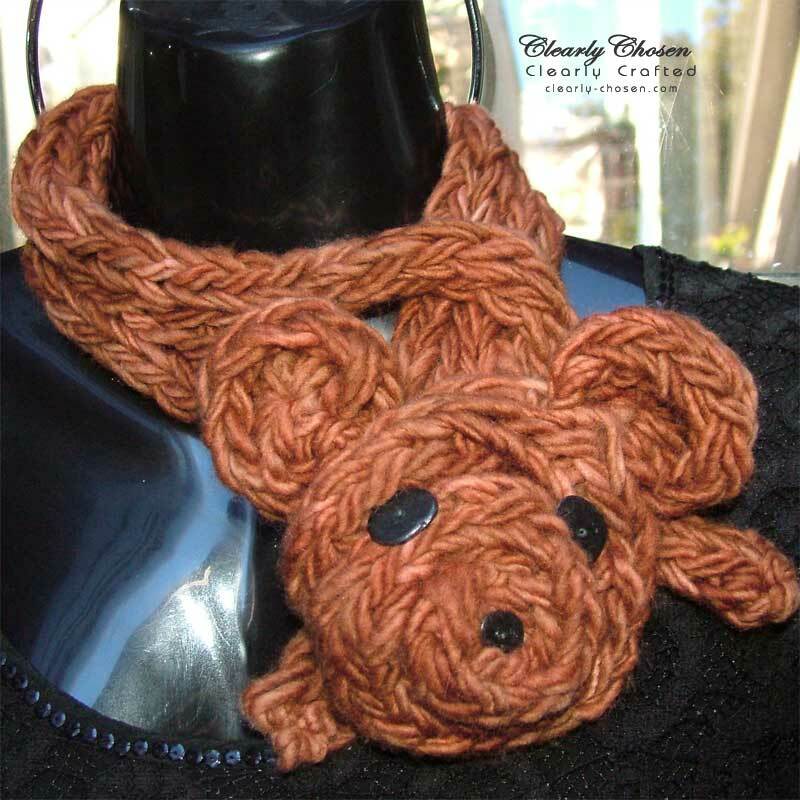 Almost Oriental scarf went off quickly into the world, finding loving new home and family. He was sent off with a lot of cuddles and kisses and with a stern (but loving) admonition to do good in the world and not to be a boggle eyed scarf no more. The photo to the right shows Almost Oriental with his original boggle eyes! 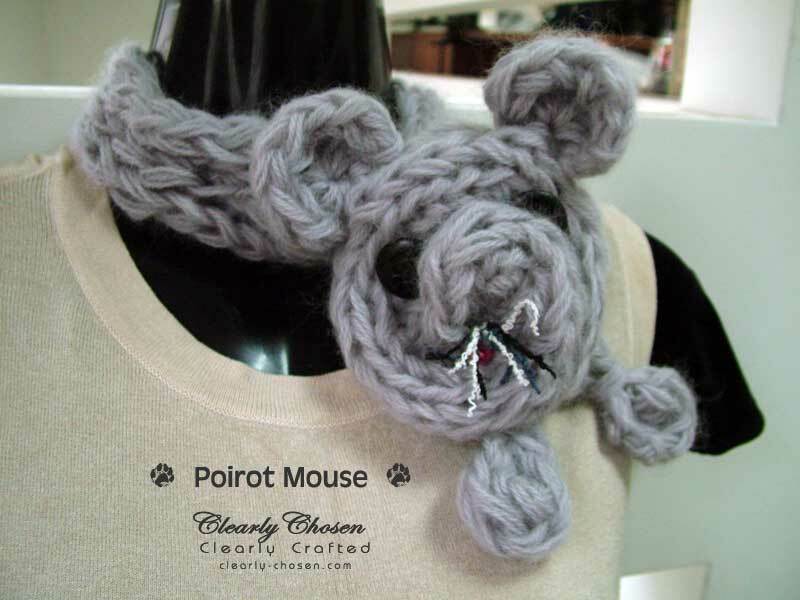 Poirot Mouse is also from my 3rd batch of scarves offsprings. He was born together with Almost Oriental scarf. My handsome Poirot Mouse is, like his namesake - Poirot, the Agatha Christie's famous Belgian detective who was inordinately fond of his moustache - also inordinately fond and proud of his moustache. 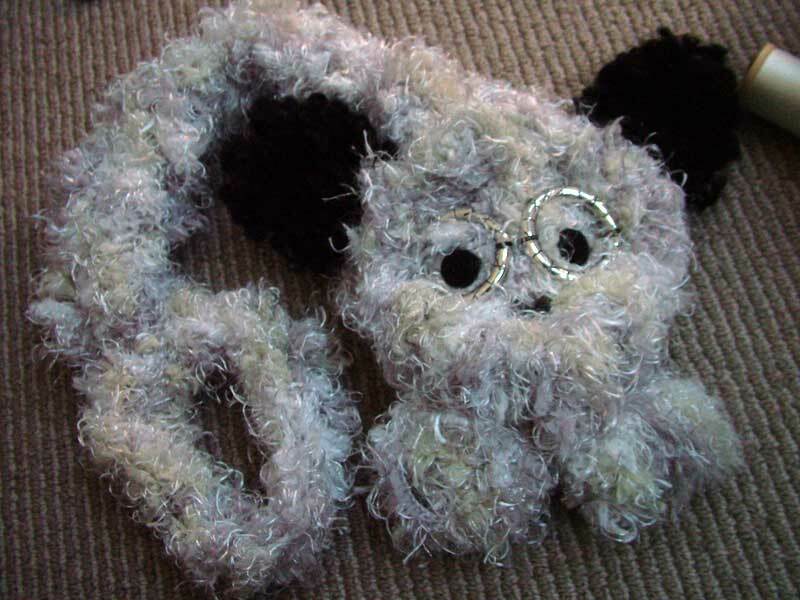 It is not as full nor as magnificent as the real Poirot's but our little Poirot Mouse has aspirations! Serious Sophie is an upgraded design. I was asked to make one for a 4-year old. The previous ones have sizing - albeit very flexibly sizing (i.e. can fit a wide range of sizes). However I wanted something that I could be sure a 4-year old would be able to wear - and even keep wearing as she grew. You can see why she is called Serious Sophie. I never know who is going to emerge till they get their facial features and/or, as in this case, facial accessories! And I realize it is most quite pointless to plan ahead as to how they will look. Coz on the day, when they are about to be "born", they somehow decide which look is best for them. As Serious Sophie as done here. 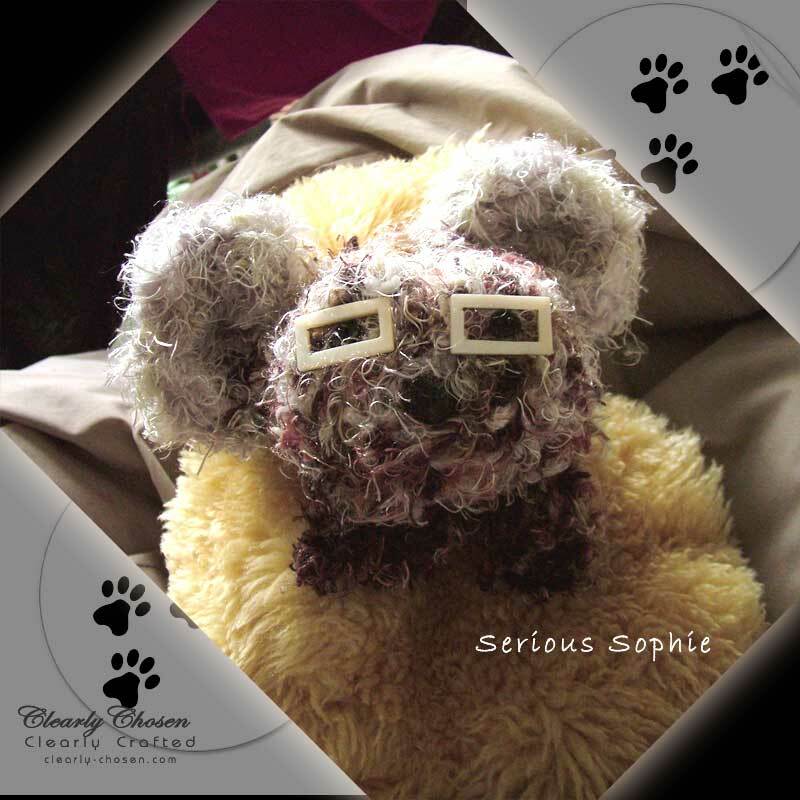 Serious Sophie is from very soft, fluffy synthetic yarn. She is very warm and cuddly. And she sports her serious but trendy looking (she thinks) Mother of Pearl rectangular glasses. 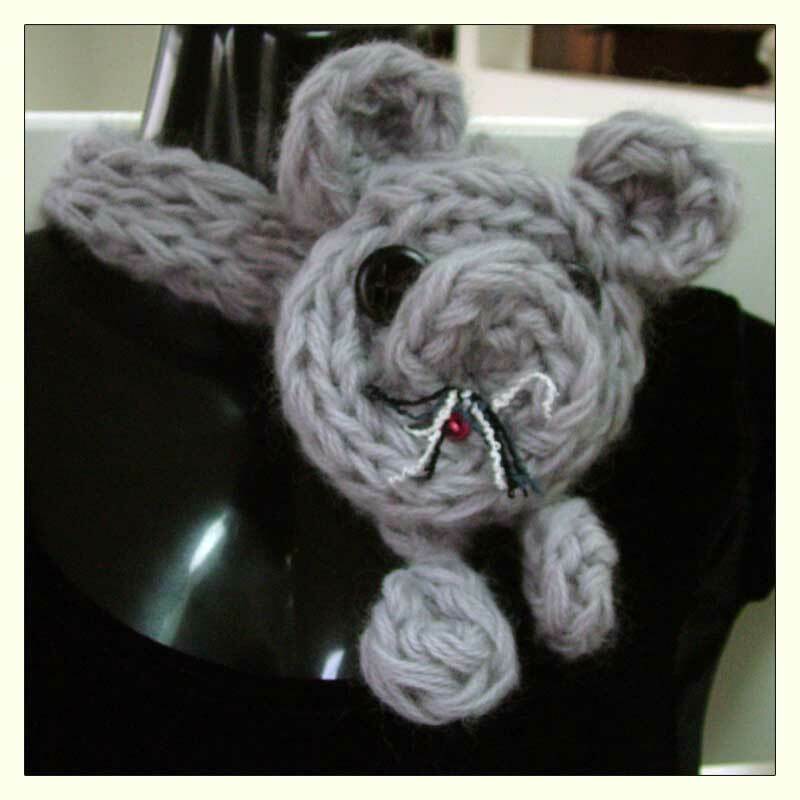 See what absolute fun one can have with handmade crafts! These are all done with finger knitting. 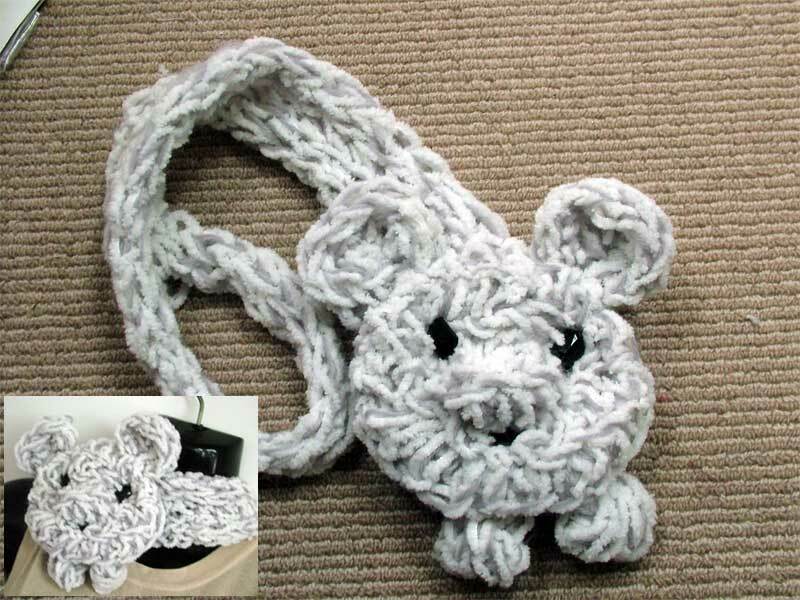 You can find yourself Finger Knitting Books on Amazon. There are lots of them and it is a fun and easy art to indulge in.